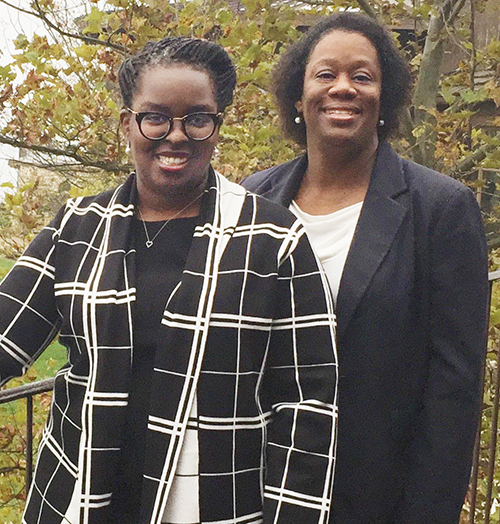 Meshea L. Poore, president-elect of the West Virginia State Bar, will be that bar's first African American female president and Doris H. Causey, president-elect of the Virginia State Bar, will be the VSB's first African American president when they are sworn in during 2017. Poore will be sworn in as the president of the West Virginia State Bar in April 2017. Causey will be sworn in as the 79th president of the Virginia State Bar on June 16, 2017, during the VSB’s Annual Meeting in Virginia Beach. Photo taken during the Southern Conference of Bar Presidents fall meeting in Branson, MO, in October 2016.